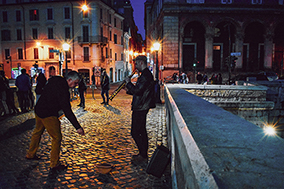 The topic of NIAF’s third annual Photo Contest was “Italian Culture, Italian Values.” NIAF thanks the hundreds of professional and amateur photographers who submitted their photographs! Narrowing the field was difficult since the quality of submissions has never been better. In the end, our judges considered 17 semi-finalists that stood out for technical quality, composition, and expressing the contest theme. These were the photos that had that “it” factor. The judges chose a Grand Prize winner and five Second Place winners. The Grand Prize: NIAF is proud to host the winner and a guest at its 40th Anniversary Weekend Gala on October 16-18, including round-trip flights, a two-night stay at the Washington Marriott Wardman Park Hotel, and tickets for all Gala events. 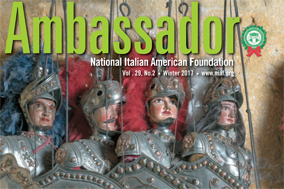 The winning photos will be displayed at the Expo Italiana during NIAF’s Gala as well as published in NIAF’s social media pages and in the upcoming winter issue of Ambassador magazine. All winners will receive one-year NIAF Associate memberships. Stay tuned for the NIAF 2016 Photo Contest to be announced next Summer! 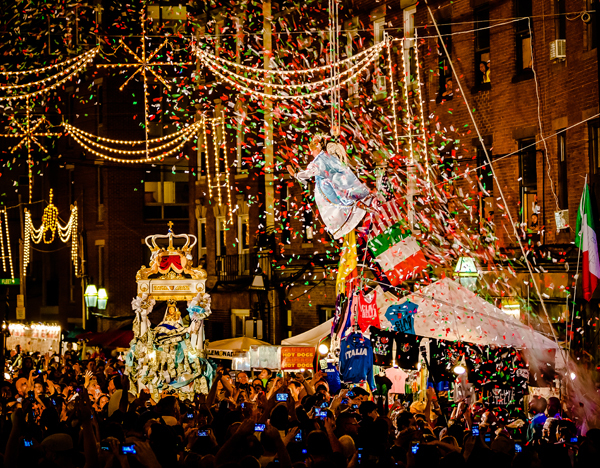 Attracting thousands of onlookers, the Flight of the Angel is the highlight of the annual Fisherman’s Feast in Boston’s North End (Little Italy). In a tradition brought over more than 100 years ago and still going on in Sicily, society members carry the statue of Madonna Del Soccorso Di Sciacca all day through the neighborhood. At the end of the night, a flying angel from a third story window comes down to the street to meet the Madonna and recite a devotion in Italian. At the end, confetti rains on the scene in an astounding street celebration. 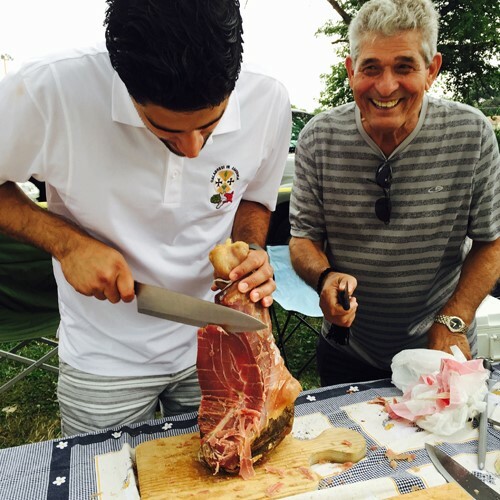 Witness the joy as Uncle Joe passes the knife to his nephew, Alberto, to slice his homemade prosciutto during La Festa di San Francesco di Paola in Chicago, IL. Maintaining family and artisanal traditions and “passing the knife” to younger generations exemplifies the core of Italian culture and values. 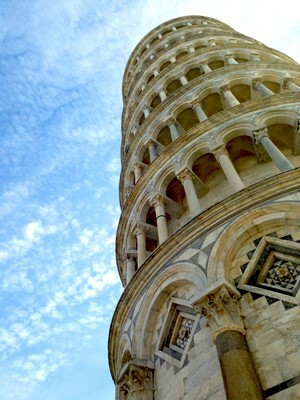 For me, the Tower of Pisa has always evoked the spirit of Italy and Tuscany. 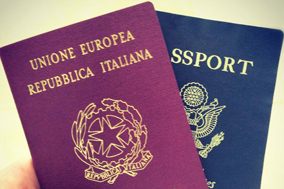 It is the land where Italy’s – or, “Il Bel Paese’s” – two defining characteristics were born: the Italian language and the Renaissance. The angle of the photo demonstrates the presence and power of the Tower that stretches upwards towards the sky. 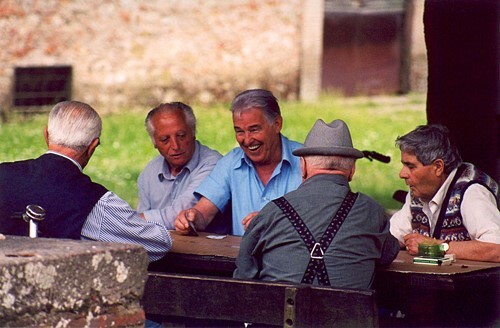 Friends meet on top of the city wall at Luca, Italy, to play Scopa. 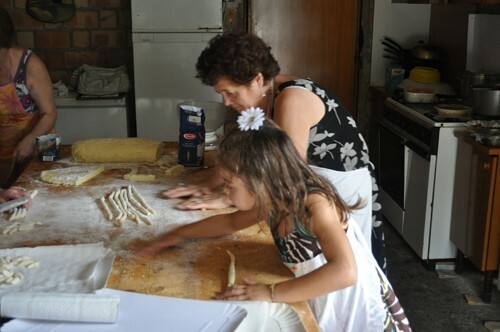 This picture is on myself and my granddaughter Lily preparing gnocchi together while on a trip to our home town in Abruzzo in 2010. Her delight and eagerness to want to learn my secrets inspired me to write and publish my own cookbook this year. This is important to our Italian heritage because the true art of our cooking needs to be handed down to the future generations to keep them alive. Too many secrets of the Italian kitchen and culture have been lost and I have made it a mission to preserve it not only for my family but for all of those who want to with my book. 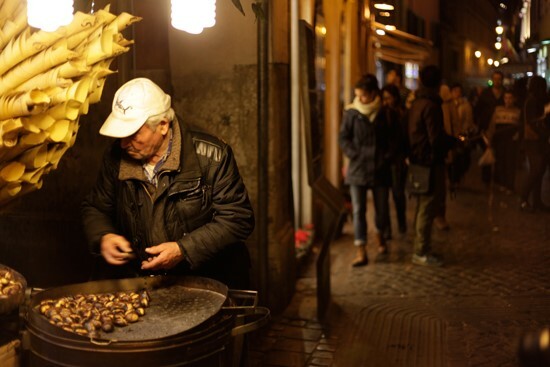 Chestnut Vendor, Rome, March 2015. 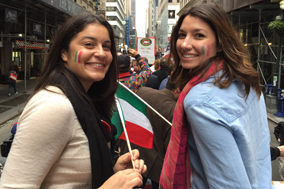 This photo expresses the hard-work ethic, and “warmth,” displayed physically, emotionally, and through lighting, that Italians possess.